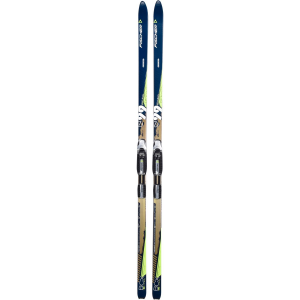 Visit Fischer's Outback 68 Skis page. With steel edges providing stability through varied terrain, the Outback 68 are made for days spent far away from tracks and trails. Featuring a Nordic Rocker Camber, Offtrack Crown and universal stone grinding, the Outback 68 delivers the performance you need to handle unprepared terrain. Sintec base. Offtrack Crown climbing zone. Air Tec Steel Edge core. Speed grinding. 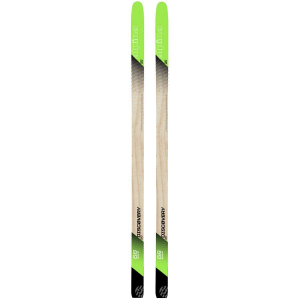 Nordic Rocker Camber - slightly opened ski tips. 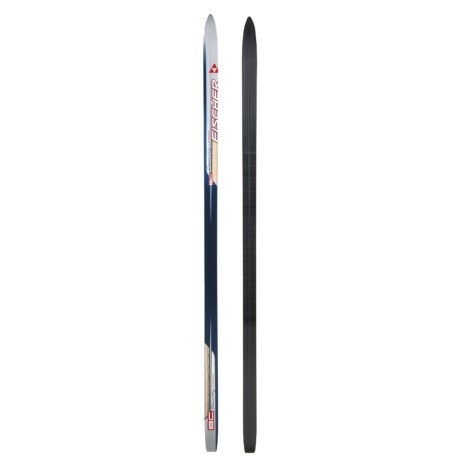 Steel edges along entire length of skis. Sidecut: 68-59-64. Sizes: 169, 179, 189. Weight: 1.990g/179mc. Imported. Skis and bindings are shipped unmounted and unadjusted. Skis, boots and bindings (including track mounted bindings) must be installed, adjusted and tested as a complete system by a qualified ski technician prior to use. Please contact our Customer Service Department at 888.463.6367 for help locating one of our stores that can perform the mounting service..
For those extended days in the backcountry when you've left the groomed trails far behind and are creating your own adventure, you're in the Outback 68 Ski. Equipped with Fischer's Nordic rocker camber with slightly opened ski tips, you'll be able to glide through varying terrain and difficult conditions with ease all day long. At the same time, the rocker allows for lighter turns with less effort so you're not wasting precious energy. Nothing shortens your day faster than running out of energy by sliding all over the place. Luckily for you, the whole edge of the ski is a thin steel that assists in easy turns by giving you constant edge contact on every surface. Hills won't cut your day short either with Offtrack Crown assisting in climbing that difficult terrain so you can push on to the next incline. When the uphills are over, Speed Grinding (a universal stone grind) offers you perfect gliding properties in any snow conditions so you can glide right over to the next climb. When the sun starts to show signs of disappearing, you can make your way back the way you came, or take a short-cut on the prepared trail. Your 68mm tip can handle both the backcountry and groomers. 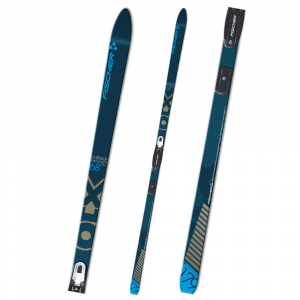 Backcountry skis made for the adventurous skier who wants to break his own trail. They're excellent for daylong backcountry tours or for multiday winter backpacking trips. Full metal edges allow outstanding control on descents. Mid-length design provides more control and better maneuverability. The Offtrack Crown base is the latest in waxless technology. It features a progressive depth pattern for more gripping surface area underfoot. Transitions to less depth at the end of the pattern for better glide. 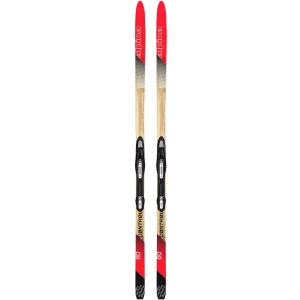 Nordic Rocker camber keeps the tip of the ski up for better float and glide. Air Channeled wood core is superlight and durable. Imported. CLOSEOUTS . 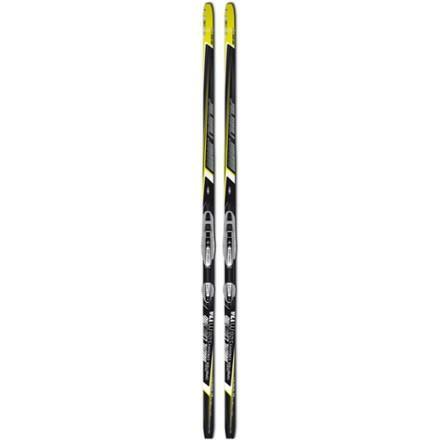 Built for Nordic tours through ungroomed terrain, Fischer Outback 68 cross-country skis features steel edges and Nordic Rocker camber for easier gliding and turning. Available Colors: SEE PHOTO.